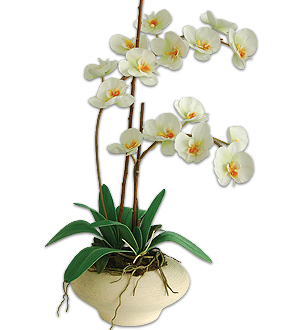 Spirited sashays of White Phalaenopsis with deep yellow throat in a classic Frey glazed vase. Phalaenopsis also available in Fuschia red, deep purple, and White with purple or red throat. Measures 70cm.